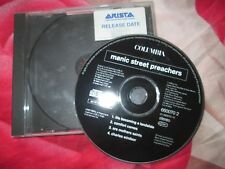 CD made in Austria Cat No: CD EPC 88681. CONDITION: CD is in LIGHTLY USED condition. USA / Asia / Rest of World £5.50. The disc is rated Very Good with a few insignificant light surface marks. Cd Condition : Very Good. Very Good. ARTIST: ANASTACIA. LEFT OUTSIDE ALONE. Left Outside Alone (Radio Edit) 3:40. INSERT CONDITION: Near Mint. CD CONDITION JEWEL CASE CONDITION RELEASE DATE. ARTIST: ANASTACIA. NOT THAT KIND. Not That Kind (3:20). CD CONDITION RELEASE DATE CATALOGUE NUMBER. 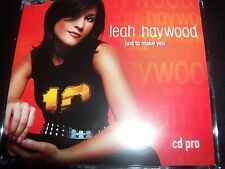 Up for Grabs, Leah Haywood ‎– Just To Make You Australian Promo CD Single – Like New. CD Like New. 1 Just To Make You (Single Version) 3:39. 2 Just To Make You (Studio 347 Remix) 3:35. This long out of print compact disc single, cover & case are all in pristine condition. ARTIST: VONDA SHEPARD. BABY DON'T YOU BREAK MY HEART SLOW. Baby Don't You Break My Heart Slow. CD CONDITION RELEASE DATE CATALOGUE NUMBER. What They Say Larsson, Zara 3:39. Lush Life Larsson, Zara 3:21. I Would Like Larsson, Zara 3:47. So Good Zara Larsson feat. TG4M Larsson, Zara 2:52. Only You Larsson, Zara 3:42. Never Forget You Larsson, Zara & MNEK 3:33. GOOD CHARLOTTE PROMO CD PREDICTABLE 1 TRACK EPIC 2004 EX "
PREDICTABLE 3.14. EPIC SAMPCS 14396 2004. GOOD CHARLOTTE. THE CD IS IN EXCELLENT CONDITION. THE INLAY CARD IS IN EXCELLENT CONDITION. OZZY OSBOURNE. Promo CD single! Although used, this CD has been played once and is in near mint condition! 'I Just Want You'. I Just Want You. DONNA SUMMER * I WILL GO WITH YOU (CON TE PARTIRO) * US 23 TRK 4CD SET * HTF! I Will Go With You (Con Te Partiro) (Radio Edit) 3:58. I Will Go With You (Con Te Partiro) (Album Version) 4:10. I Will Go With You (Con Te Partiro) (Radio Edit 3:58. I Will Go With You (Con Te Partiro) (Club 69 Future Radio Edit 3:53. ). A.D.I.D.A.S - Promo. USA £0.95, extra copies add £1 per item. This item is in mint or excellent condition unless stated above. CATALOGUE No RECORD LABEL. After all, Brett Anderson was supposed to be the Byronic prince of darkness, and without Butler around, it only made sense that he would indulge his taste for the theatrical. It didn't turn out that way, of course. ARTIST: JULIO IGLESIAS JR. ONE MORE CHANCE. One More Chance - Radio Edit (4:07). One More Chance - Junior Vasquez Mix. 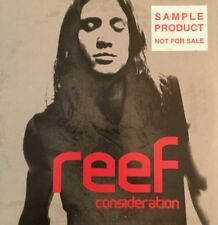 CD CONDITION SLEEVE CONDITION RELEASE DATE. MUDVAYNE Happy?. USA £0.95, extra copies add £1 per item. This item is in mint or excellent condition unless stated above. CATALOGUE No. UK £0.00, extra copies add £0 per item. This item is in mint or excellent condition unless stated above. CATALOGUE No RECORD LABEL REST OF WORLD [INC CANADA] £3.85, extra copies add £1 per item. Im Outta Love. Im Outta Love - Radio Edit 3:57. UK £0.00, extra copies add £0 per item. This item is in mint or excellent condition unless stated above. CATALOGUE No. (Custom printed disc issued ina custom printed wallet picture sleeve 6729001). REST OF WORLD [INC CANADA] £3.85, extra copies add £1 per item. CATALOGUE No RECORD LABEL. JENNIFER LOPEZ. J Lo J-Lo J. Lo JLO Jenifer Lopez j.lo. Love Dont Cost A Thing. Love Dont Cost A Thing 3:50. UK £0.00, extra copies add £0 per item. REST OF WORLD [INC CANADA] £3.85, extra copies add £1 per item. UK £0.00, extra copies add £0 per item. This item is in mint or excellent condition unless stated above. CATALOGUE No. Incubus (1). USA £0.95, extra copies add £1 per item. This item is in mint or excellent condition unless stated above. CATALOGUE No. REST OF WORLD [INC CANADA] £3.85, extra copies add £1 per item. RECORD LABEL USA £0.95, extra copies add £1 per item. CATALOGUE No. Im Outta Love. Im Outta Love - Radio Edit. Im Outta Love - Album Version. USA £0.95, extra copies add £1 per item. This item is in mint or excellent condition unless stated above. CATALOGUE No RECORD LABEL. ALICE MARTINEAU. UK £0.00, extra copies add £0 per item. REST OF WORLD [INC CANADA] £3.85, extra copies add £1 per item. This item is in mint or excellent condition unless stated above. CATALOGUE No. JENNIFER LOPEZ. J Lo J-Lo J. Lo JLO Jenifer Lopez j.lo. UK £0.00, extra copies add £0 per item. Im Real Radio Edit 3:15. Im Real Murder Remix Featuring Ja Rule (Clean Version) 4:22. This item is in mint or excellent condition unless stated above. AMANDA MARSHALL. If I Didnt Have You - Single Version. 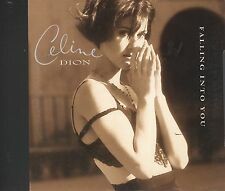 If I Didnt Have You - CD-Rom video. If I Didnt Have You. This item is in mint or excellent condition unless stated above. CATALOGUE No RECORD LABEL. Shakira - Knock On My Door. 1 Knock On My Door 3:40. CD is in very good condition. Cardsleeve is in good condition. 2003 Epic PCSHAK2003-EU. OZZY OSBOURNE. Released 1991. The CD looks barely played and grades near mint condition.The case has very minimal light scuffing and grades excellent condition. Such concentration behooves Shakira, freeing her to release her inner She Wolf, a wild wacko who’s as cuckoo as she is carnal. ~ Stephen Thomas Erlewine. Shakira - Did It Again. Shakira - Why Wait. Shakira - Good Stuff. TORTURE / The Jacksons. WAIT / The Jacksons. ONE MORE CHANCE / The Jacksons. BE NOT ALWAYS / The Jacksons. STATE OF SHOCK / The Jacksons with Mick Jagger. WE CAN CHANGE THE WORLD / The Jacksons. THE HURT / The Jacksons. Songs For Silverman. Ben Five Folds. USA £0.95, extra copies add £1 per item. This item is in mint or excellent condition unless stated above. CATALOGUE No RECORD LABEL. Cowboys And Kisses. UK £0.00, extra copies add £0 per item. This item is in mint or excellent condition unless stated above. CATALOGUE No. Predictable 3:14. GOOD CHARLOTTE. UK £0.00, extra copies add £0 per item. USA £0.95, extra copies add £1 per item. REST OF WORLD [INC CANADA] £3.85, extra copies add £1 per item. CATALOGUE No. UK £0.00, extra copies add £0 per item. REST OF WORLD [INC CANADA] £3.85, extra copies add £1 per item. RECORD LABEL CATALOGUE No. Korn - A.D.I.D.A.S promo CD single. Very good condition. - US promo release 1997 - This promo release never had front artwork. 1 A.D.I.D.A.S. (Radio Mix) Lots more Korn, promos, rarities and boxsets in my shop. Remixed BY Paul Van Dyk. CD Like New. RESEARCH INDICATES THAT THIS WAS SCHEDULED TO BE RELEASED AS A SINGLE BUT FOR WHATEVER REASON WAS WITHDRAWN. Dixie Chicks: There's Your Trouble. Dixie Chicks. The CD is in perfect, condition with no marks or scratches. The liner is excellent. The rear of the case is stickered with the original promotional information supporting the band's 1998 UK tour. The shift in direction and change of collaborators has liberated Jackson, and he's written a set of songs that is considerably stronger than Bad, often approaching the consistency of Off the Wall and Thriller. Shakira - Ask For More. 2001 Epic PCVRM2000-EU. Original Promotional CD in Cardsleeve. CD is in very good condition. Cardsleeve is in very good condition too. Light surface wear. Ask For More 3:38. A VERY ALLY CHRISTMAS FEATURINGVONDA SHEPARD. ARTIST: VARIOUS ARTISTS. RELEASE DATE CD-R CONDITION WALLET / INSERT CONDITION.